Welcome to Stonebrook Dental, where new patients are always welcome! 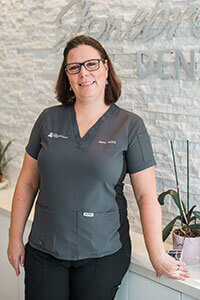 Dr. Nubia Diaz is a North York family dentist. 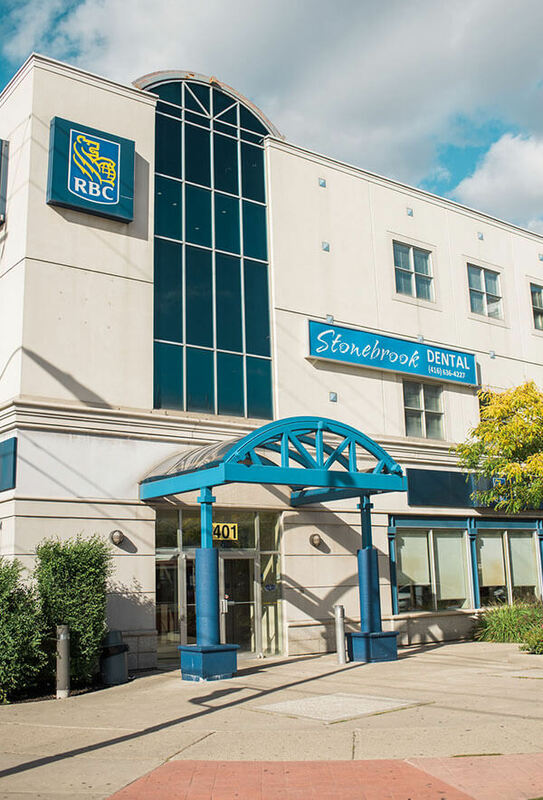 Our Toronto clinic is on Bathurst Street (south of Sheppard), serving family dentistry in the Scarborough, Markham and Vaughan neighbourhoods. 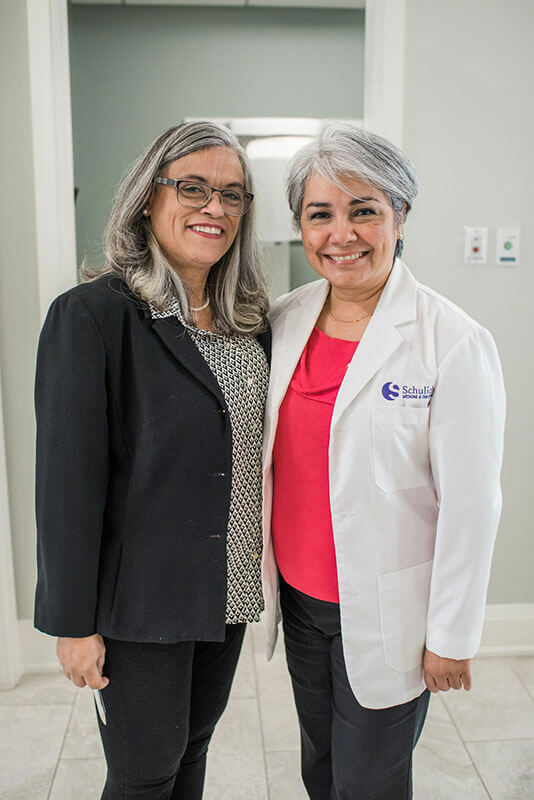 With over 15 years experience, Stonebrook Dental lead by Dr. Nubia Diaz takes great pride in offering patients exceptional Family and Cosmetic Dental care services. Using the latest medical technologies our team delivers quality dental services in laser dentistry, implants, veneers, porcelain crowns and whitening. Our goal is to provide family and cosmetic dentistry with your interests at heart. Dr. Diaz is thorough, informing patients of the pros and cons of all procedures in order for you to make an informed decision. 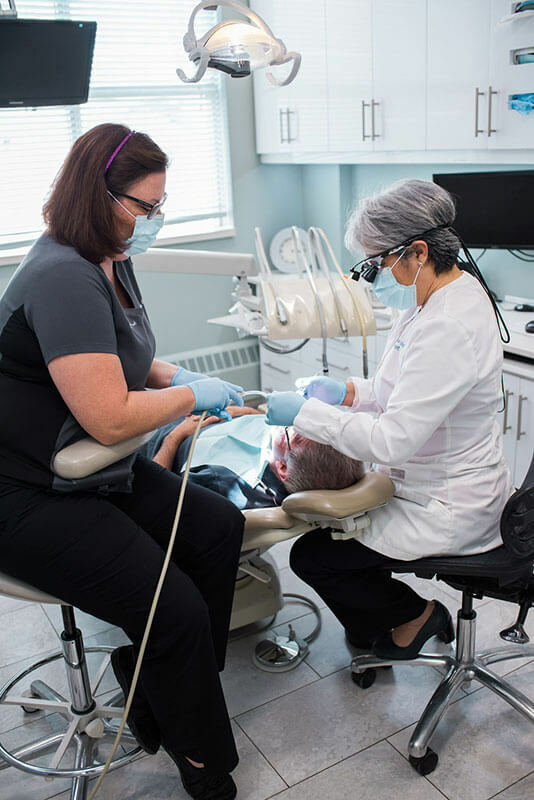 We are committed to improving your smile, improving your oral health and making your visits as comfortable as possible for you and your family. For your convenience and peace of mind we offer same day emergency dental care, extended office hours, entertainment while in the chair and digital x-rays resulting in 80% less radiation than traditional methods. 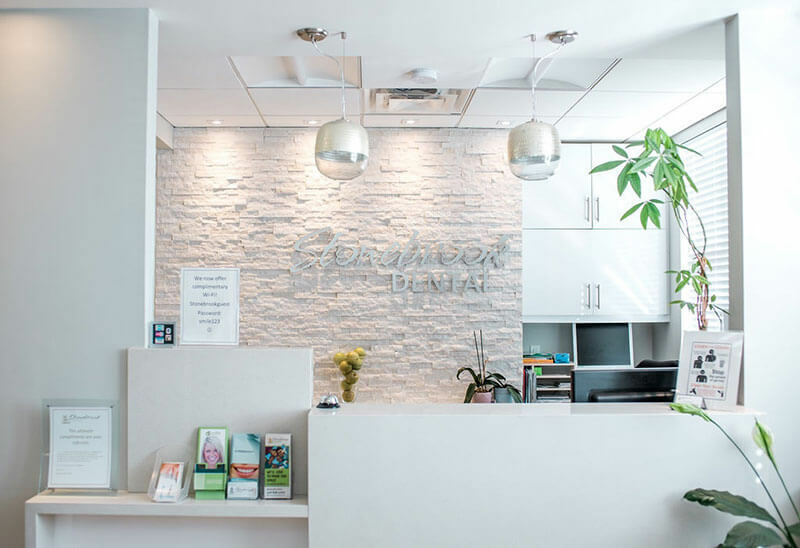 As your Toronto dental office you can expect friendly treatment and excellent professional care from our certified and fully trained staff. We accept all insurance policies and also offer payment plans to suit your individual needs. Proprietary SmartTrack® material and SmartForce® features are clinically proven to achieve greater than 75% improvement in overall tooth movement predictability with Invisalign clear aligners. Because they’re clear and removable, patients can continue to do the things they love—no avoiding sports, foods and drinks they like and no emergency visits due to broken wires or brackets. 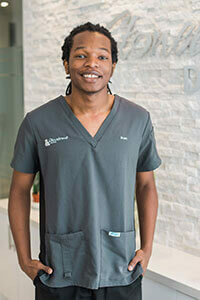 Stonebrook Dental has qualified and professional staff to serve you and your family around North York and Toronto area. 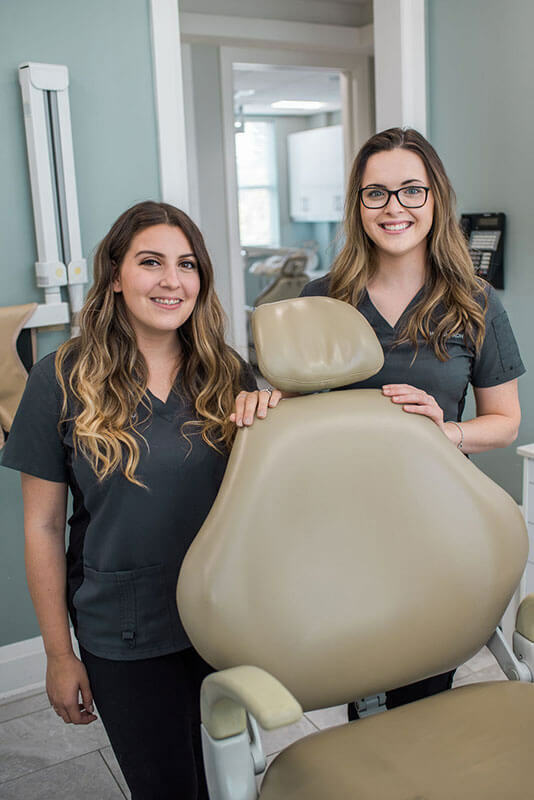 All personnel at Stonebrook Dental is continuously been trained in new treatments, techniques, and products to offer our patients modern solutions to their teeth problems to provide excellent dental care in the Greater Toronto Area. 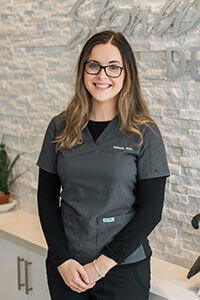 Dr. Nubia Diaz is a well known North York family dentist and the head dentist at Stonebrook where she leads her dedicated team to provide excellent, quality dental care for all of Stonebrook’s patients. 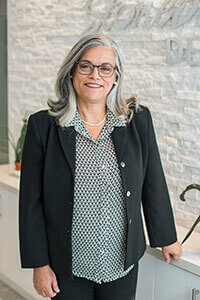 Dr. Nubia Diaz graduated in El Salvador in 1997, graduated from University of Western Ontario now Western University in 2009, and it's practicing dentistry since 1997 ( El Salvador) and 2009 in North York community. Meet our dentist Dr. Diaz who, through her passion, technical perfection, and continuing education, focuses on listening to patient concerns, paying attention to detail, and providing an enormous amount of care to ensure that every patient is comfortable, and well taken care of during each of their visits. In her spare time, Dr. Diaz likes gardening, walking her 3 year old siberian husky in the woods and spending quality family time with her children. 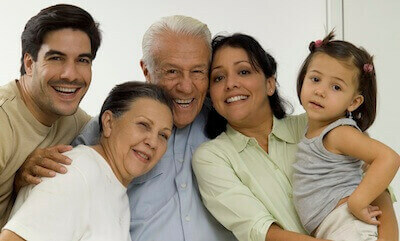 Stonebrook Dental provides dental family service in North York Toronto. If you need a top North York family dentist, our clinic is ready to attend you. We provide a wide range of dental services specialized in to meet the needs of you and your family. We take great pride in offering the excellent service and care from regular teeth cleaning to dental implants. We utilize the latest technology, techniques, and materials in order to give you the best dentistry available today. Let Dr. Nubia Diaz assess your concern, book an exam to see if you are a candidate forBOTOX® Theurapeutic injections for TMD. BOTOX Theurapeutic – may also be used to treat Temporomandibular Joint (TMJ) muscle hyperactivity and pain due to grinding and clenching causing pain that surrounds the jaw and control chewing. Dr.Nubia Diaz is a general dentist using BOTOX® Therapeutic for management of TMJ related pain. As well, she can provide occlusal rehabilitation( restore missing teeth), use splint (mouthguards) therapy if needed to manage TMJ issues. HOW DO I KNOW IF BOTOX Theurapeutic TREATMENT IS RIGHT FOR ME? You will first need to be formally examined and diagnosed with TMJ disorder. Dr. Diaz will evaluate the extent of the condition and determine what course of treatment is best for you. Usually, the initial approach involves conservative treatments, such as self-care, physical therapy and bite guards. Medications may also be used to relax the jaw or relieve pain. Patients who do not respond to conservative treatments may be considered for joint injections or referred out if needed. Botulinum toxin is a substance produced by a bacterium called Clostridium botulinum. It has been purified under very strictly controlled conditions. The muscles you use for chewing food and talking sometimes work overtime (such as when people grind their teeth at night) causing facial and/or jaw joint pain. Botulinum toxin is injected in extremely small amounts into affected muscles. The exact way it works is quite complicated, but the end result is that it blocks nerve impulses to relax the muscle and relieve the spasm. 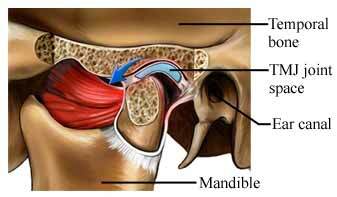 Relaxing the jaw closing muscles can also provide relief for the jaw joints by decreasing the muscular loading of these joints. I’ve heard of something called botulism. I understand it’s a very serious illness. Is Botulinum toxin related to botulism? This is a very important question. The active ingredient in Botulinum toxin is the same one that, in much larger amounts, can cause botulism poisoning, although rare, can occur if a person eats food that is contaminated with the bacterium called Clostridium botulinum. If this happens, large amounts of the toxin are swallowed, then absorbed into the bloodstream and circulated throughout the body. This can affect the breathing muscles leading to respiratory paralysis, and sometimes death. However, Botulinum toxin is injected directly into specific muscles, and only in extremely small doses, to relieve spasm and suffering safely. Because the doctor ensures that it is not injected into the bloodstream, other parts, of the body and functions are unaffected. Many drugs in common use would be harmful if given in large enough doses or in such a way as to affect the entire body. Given in the appropriate way in the right amounts, they are valuable allies in fighting illness and suffering. Clinical studies over more than 15 years have shown the Botulinum toxin is effective and produces few side effects. Botulinum toxin therapy for the treatment of jaw joint and related problems is experimental. The drug is proven safe. However, its usefulness for this condition is as yet scientifically unproven and under investigation by us. How do I know my doctor won’t give me too much Botulinum toxin? Production of Botulinum toxin is carefully controlled at every stage to be sure it is safe for medical use. Your doctor has been specially trained to use it safely and to manage any problems that may occur. Appropriate starting doses have already been determined for the facial musculature in humans. Are there any patients who should not receive Botulinum toxin? Botulinum toxin should not be given to anyone who has reacted badly in the past to any of its ingredients. Your doctor will ask you about this. It shouldn’t be used if there is infection or inflammation in the part of the body where the injection is to be given. Pregnant or nursing women should not be treated with Botulinum toxin, because it is not known if it might harm the baby. Patients with conditions that affect neuromuscular transmission such as Myesthenia Gravis or Eaton Lambert Syndrome should not receive Botulinum toxins. Botulinum toxin comes in glass vials containing a small amount of crystals. A special solution containing water and a small amount of salt is added just before use to make it ready for injection. The drug is injected into the affected muscles(s), using a sterile, disposable syringe with a fine tip needle. The doctor may use a technique called electromyography (EMG) or ultrasound to be sure that the needle is in the correct muscle. Affected muscles produce extra electrical activity which electromyography can detect. The doctor will use a special needle connected to an EMG machine that guides him/her to the right position for the injection. In some disorders in which many muscles are involved, several injections may be required. Botulinum toxin itself does not cause irritation or inflammation when it is injected. Patients occasionally complain briefly of discomfort or pain at the injection site. Because the muscles injected may already be very sensitive, intra-venous sedation or general anesthesia is often given to the patient just before commencing Botulinum toxin therapy. Side effects may occur, but they are usually mild, don’t last long and can be treated. Serious side effects are uncommon, and no long-term complications have been reported. Side effects vary, depending on where Botulinum toxin is injected and for what purpose. Your doctor can tell you which ones might apply to you. However, most patients find that the relief of symptoms far outweighs any discomfort the drug may cause. Does Botulinum toxin interact with other drugs? It is always important to let your doctor know if you are taking any other drugs. Certain antibiotics or other drugs that interfere with nerve impulses to muscles may increase the effect of Botulinum toxin. However, patients can usually be treated with Botulinum toxin regardless of other drugs they may be taking. How long does Botulinum toxin take to work? Effects are usually noticed within 7-14 days. Will Botulinum toxin cure me? No, it is not a cure. However, Botulinum toxin offers the best hope yet for safe, effective and long-lasting relief of pain and spasm. For most patients, a single treatment with Botulinum toxin relieves symptoms for one or more months. Individual response varies depending on the severity of the problem and the dosage used. Does that mean I’ll need more injections? Yes, most likely. Except in a few conditions, the injected muscles eventually get over the drug’s effects. Repeated injections must be given to maintain the benefit over a long period of time. The treatment can be repeated for as long as it is required. Most patients will need injections about every three months. The exact timing is determined by the patient’s sense of need and the doctor’s estimation of recovery of muscle function. Will additional injections continue to be effective? Given in appropriate doses at appropriate intervals, repeated treatments usually remain effective or a long period of time. What benefits can I expect of Botulinum toxin therapy? Botulinum toxin relieves symptoms effectively. Pain is reduced and joint movement is often restored to “normal”. Botulinum toxin can relieve the chronic pain many patients have suffered from for years. Treatment with Botulinum toxin is simple. It sometimes helps avoid the risks, expense and inconvenience of hospital admission and surgery. Time lost from work is reduced. Botulinum toxin treatment can result in greatly improved quality of life, even for patients who have suffered for many years with no relief from other treatments. The only disadvantages are the need for repeated injections and the occurrence of side effects in some patients. Your doctor would be happy to discuss any aspects of Botulinum toxin therapy with you. Please do not hesitate to ask questions and feel free to bring someone with you when you come to discuss therapy with your doctor. Missing teeth not only affect your smile, but also your ability to chew decreases with missing teeth, it directly affects your overall medical health. If a tooth is extracted and not replaced it in time, the surrounding teeth will fall toward the missing tooth space and the teeth opposite the hole will over-erupt. When that happens, it can cause premature loss of additional teeth. Missing teeth can also affect your occlusion. Although you could lose teeth, you still have the same amount of muscles, which means that you continue to chew with the same amount of force, regardless of how many teeth you have. As a result, the muscle force will affect your other teeth in a negative way. Applying the same force to a less number of teeth leads to more cracks, more breakage of the remaining teeth and potentially more teeth lost. So it’s important to replace the missing tooth as soon as possible. 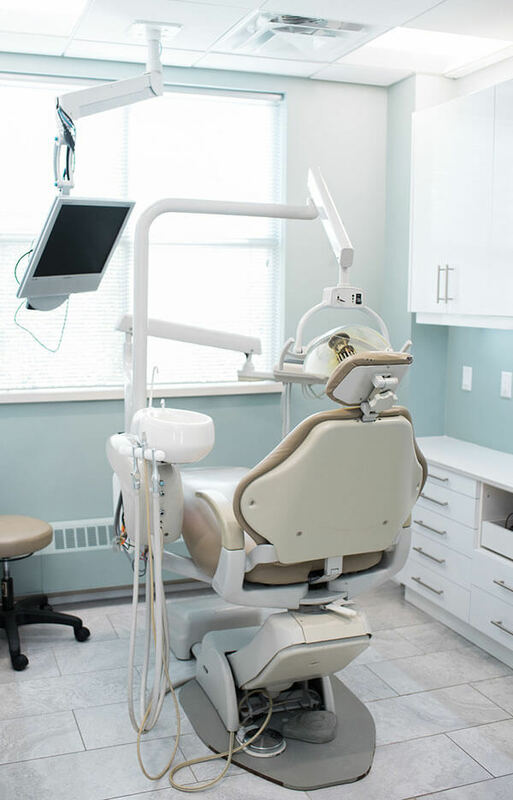 Read detail information in submenu options on this section about the services that North York family dentist Dr. Nubia Diaz and her team can provide to you: Dental Implants, Dental Bridges, Removable and Partial Dentures. Removable dentures are dental appliances that artificially replace missing teeth. There are two main type: complete and partial dentures. Other kind include: overdentures (on implants), immediate and transitional dentures. Can be made either of metal or ceramic clasps. Dentures are supported by bone and gums and over time the bone shrinks. This may cause your dentures to become loose, causing them to slip off or even fall out of your mouth. Proper care and regular visits are important factors for keeping your mouth healthy and well fit dentures. 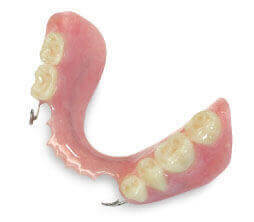 Loose dentures can cause sore spots, difficulty chewing and even may change the look of your facial features. Do not forget to visit your dentist regularly even if you do not have natural teeth. North York cosmetic dentist Dr. Diaz will let you know when they need to be replaced, also a cancer screening exam should be performed at least once a year. 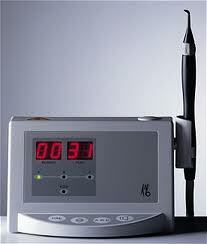 Accurate, reliable caries detection aid. More and more patients place high value on healthy and attractive teeth. In order to maintain them, the earliest preventive possible care is essential. With the aid of DIAGNOdent in caries detection, North York family dentist Dr. Diaz can detect even very small lesions at the earliest stage, enabling her to protect and preserve your tooth substance. If the disease cannot be detected, how can your dentist treat it? Dentists often experience anxiety when attempting to diagnose the phenomenon known as hidden caries. A suspicious-looking tooth presents a treatment dilemma for dentists. Should the tooth be opened up? What if no caries is found? Should the tooth just be watched, or does that give caries more time to destroy the tooth’s surface? Laser caries detection aid removes the doubt from treatment decisions regarding hidden caries lesions or questionable stained grooves. • Permits use of minimally invasive treatments without unnecessary preparation – ideal adjunct to micro rotary instruments. • Reproducible results permit checking, stabilization and documentation of caries. • Is conservative by avoiding “exploratory” excavation of suspect teeth. • Extremely accurate diagnostic aid. Proven to be over 80% accurate. • Early detection of carious lesion changes that are undiagnosed by conventional examination methods (e.g. 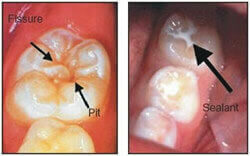 initial lesions, demineralization and changes in the enamel, fissure caries). • No scratching probe: simple, fast and painless examination. call us to make your appointment (416) 636-4227. One or more missing teeth can adversely affect the appearance and functionality of your smile. Missing teeth can cause a change in occlusion (bite), shifting of the teeth, temporomandibular joint disorder, speech impediments, an increased risk for periodontal disease and a greater chance of tooth decay. Dental bridges, like implants and partial dentures, are used to replace missing teeth. 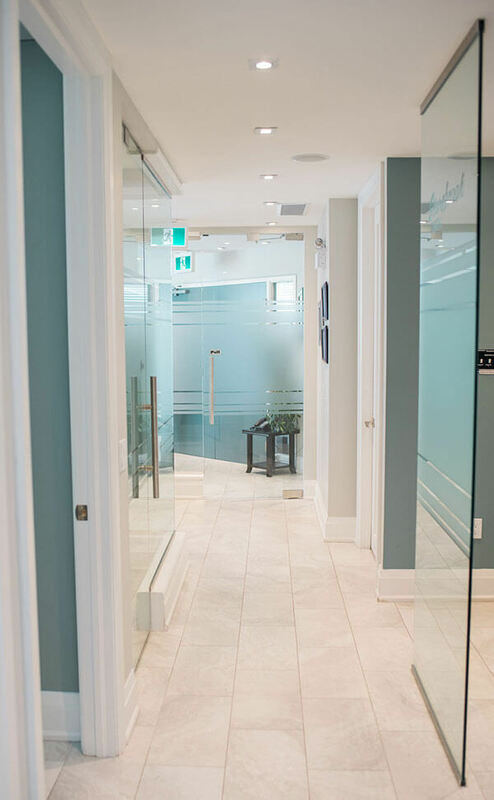 During the first visit, North York family dentist Dr. Nubia Diaz will examine the health of your gums and teeth to evaluate if you are a candidate for a dental bridge, after this we will prepare your teeth for the dental bridge. Typically we need two dental appointments to both prepare and fit/cement your new bridge. At your first visit for your dental bridge you are given a local anesthetic so Dr.Diaz can prepare the teeth required to support the bridge. If the support teeth are decayed or badly broken down, your dentist may have to build them back up before they can be used as support teeth for a bridge. Next, Dr.Diaz takes an impression of the prepared teeth with a putty-like material that is used to create a model of your teeth. Your bridge is fabricated based on this model by a skilled lab technician so that it precisely fits the prepared teeth. It is important that your restoration fit perfectly to avoid additional oral health problems such as tooth decay. While your bridge is being fabricated, Dr.Diaz fits you with a temporary bridge so the teeth and gums can be protected from damage until your permanent bridge is ready. The second visit is when the dental bridge is completed. The dental bridge will be fitted on the teeth that were prepared the first visit and cemented permanently. After this you may function on your new bridge just like your natural teeth. 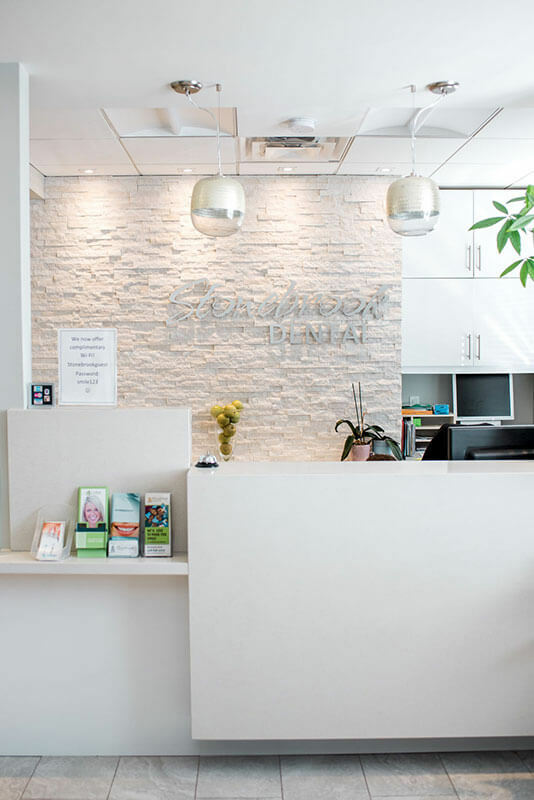 To make an appointment for a free dental consultation with North York, Cosmetic, Laser, Family and Implant Dentists Dr. Nubia Diaz and the experienced team at Stonebrook Dental please contact us at (416)636-4227. Dental crowns, also known as “caps,” are placed over a tooth to preserve its functionality, improve its appearance, and restore its shape, size, and strength. Crowns are often used to protect a cracked tooth, restore a tooth that has excessive decay, or replace a pre-existing crown. Once the dental crown has been cemented into place, it will fully encase the entire visible portion of the tooth above the gum line. North York and Toronto Dentist, Dr. Nubia Diaz provides her patients with a variety of conservative treatment options to restore teeth. Find out whether dental crowns are right for you by calling Stonebrook Dental at 416-636-4227 and making an appointment today! The material selected is determined by the clinical demands at hand, aesthetic demands of the patient, strength requirements, material durability and the amount of restorative space available. Porcelain-fused-to-metal crowns provide patients with a strong, durable, and more aesthetically-pleasing treatment option. One of the key factors dictating the success of this type of crown is in ensuring the preparation of the underlying tooth structure provides adequate space for the material being used. Additionally, the artistic skill of the laboratory technologist creating the crown will determine its aesthetic appeal. One consideration in the porcelain-fused-to-metal crown is that these crowns may show the underlying metal or gold margin at the gum line as gums recede over time. Patients who opt for this type of crown often replace the crown at a later date in order to maintain this aesthetic benefit. To avoid this issue, we may recommend going with a porcelain-fused-to-metal crown with an all porcelain collar. The predominant material used for all-ceramic crowns today is either zirconia or other aluminous materials. They provide a metal-free aesthetic option with a number of benefits. Additionally, the elimination of the metal core allows the tooth to look more natural. All-ceramic crown materials continue to evolve in strength and durability, but caution should still be exercised for areas of the mouth requiring heavy function. Although not as popular a treatment option for aesthetic reasons, gold crowns are still indicated in some instances. For example, patients with strong bites and those with para-functional habits (such as grinding or clenching) might be better served with gold crowns. This traditional restorative material can provide stronger support to the remaining healthy tooth structure. Gold crowns also offer a level of durability that is appropriate for teeth located in the back of the mouth like molars, where they will not be highly visible and where there is limited occlusal space. Gold crowns can also offer greater longevity and require less preparation than porcelain and porcelain-fused-to-metal crowns. When chewing, gold tends to be less abrasive to the opposing tooth than porcelain, which helps to prevent wearing of the teeth. Learn more about your options by booking a dental consultation with North York Cosmetic Dentist Dr. Nubia Diaz. Call 416-636-4227 today! 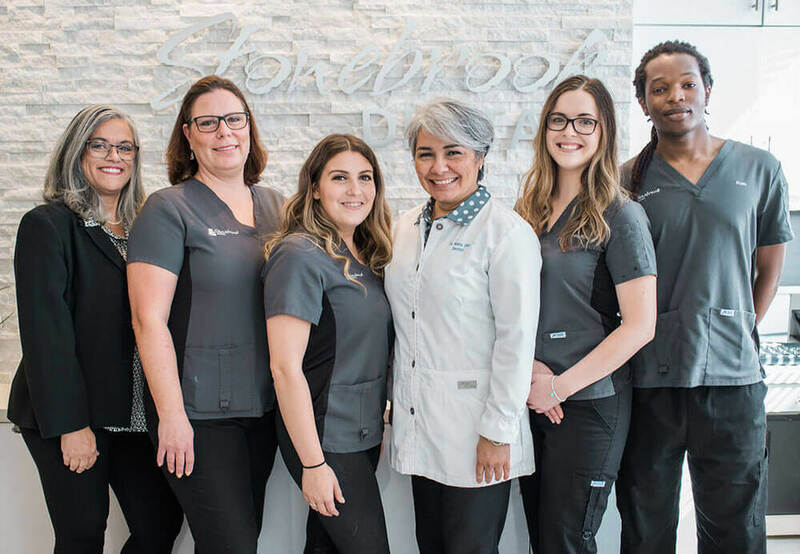 At Stonebrook Dental, North York family dentist Dr. Nubia Diaz and her team go out of their way to make each patient feel completely at ease and comfortable during their dental visit. What is Dental Oral Sedation? Sedation is a technique that aims to pharmacologically alter your central nervous system (CNS) to produce an overall calm and relaxed (sedated) sensation. Sedative drugs (tranquillizers, depressants, sleeping pills, anxiolytics, etc.) are used to induce sedation and can be administered in a variety of ways. In the past, IV sedation was predominantly used to produce a sedated effect in dentistry. Today, there are alternatives available for sedation dentistry patients. Oral sedation offers a “no needle” approach that many patients find more accommodating than the traditional IV method. What is Dental Gas/Nitrous Gas? Dental gas or nitrous gas which can be used in our dental practice offers the option of relaxation while undergoing dental treatment. If you are nervous, dental gas can help you relax and after a short recovery time you are able to drive home after your appointment. Besides pharmaceutical approaches, we provide in-office relaxation comforts such as blankets, overhead tv, comfort pillows. Our appointments are booked so as to ensure your appointment is rushed and that you may take breaks during your dental service as needed. Well, you aren’t alone. There are many people who have a dental phobia and experience anxiety when visiting the dental office. We’ve seen hundreds of people like yourself who are frightened, scared or just plain nervous of being at the dentist. Our goal at Stonebrook Dental is to help you overcome your fears so that every visit — and every experience — at our office is a positive one. Have you ever had a negative or frightening dental experience as a child or as an adult? 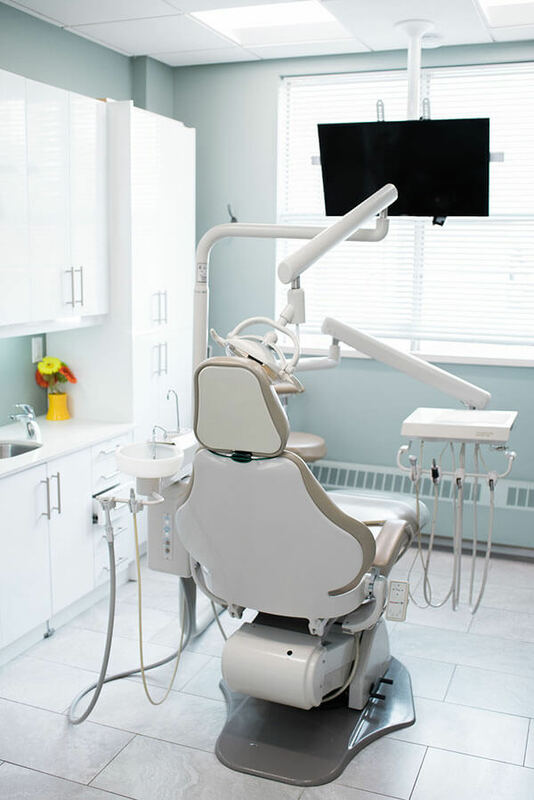 Do you feel uncomfortable when you’re not able to communicate with your dentist or hygienist while in the dental chair? Do you fear pain and discomfort while at the dentist? 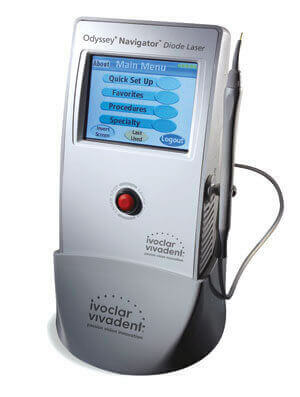 Are you afraid of dental needles and freezing? Do you dislike the tastes, sounds or feel of a dental office? Have other people told you about their dental experiences, which, in turn, now make you feel nervous about seeing the dentist? Do you have dreams or nightmares about your teeth? 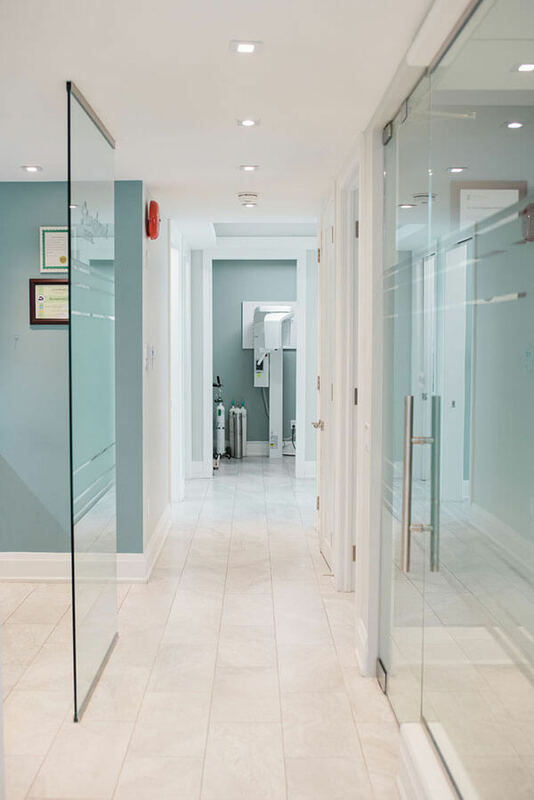 If you are looking for a dentist in Toronto who can assist you in overcoming your dental phobia and dental anxiety, North York family dentist Dr. Nubia Diaz and her team of experienced professionals at Stonebrook Dental can help. Whether it has been a year or 20 years since your last dental visit, we would be more than happy to see you. We promise that your visit with us will be one of care, comfort and compassion. We work with children and adults who have dental phobias and dental anxiety. Call us at Stonebrook Dental in North York Toronto to set up an appointment at 416-636-4227 today! Do you or your children play sports? People of all ages participating in physical sports should consider protecting their teeth. During play, teeth can easily be chipped, fractured, broken or completely knocked out of their socket during any physical sport. 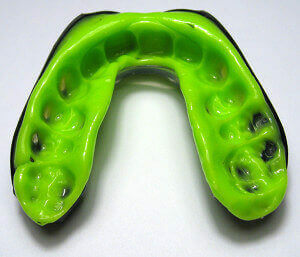 North York family dentist Dr.Nubia Diaz can make a variety of custom fabricated athletic sports guards(size and colour). The type of sport being played usually determines the thickness that is needed for the guard. Call Stonebrook Dental at (416)636-4227 to set up your sportguard consultation. 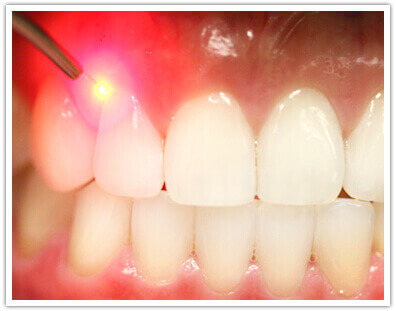 A white/composite dental filling replaces part of a tooth that has been lost because of decay or accidental damage. 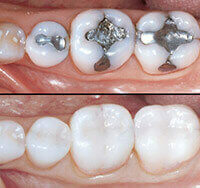 White fillings are now becoming a more popular alternative to amalgam (silver and mercury) fillings. They are tooth coloured and are made of composite resin. They are bonded directly to your teeth and look more natural than their metal counterparts. In most cases it is quite impossible to see that the teeth actually have fillings. Here at Stonebrook Dental we do not place any dental amalgam (silver) fillings, due to the compiling evidence linking toxic effect of mercury contained in dental amalgam to neurological diseases. Based on extensive scientific research, several world governments as Germany, Austria, Sweden, and Norway have banned the use of mercury in dental amalgams especially in pregnant/lactant women, those with autoimmune and neurological diseases. Athough the CDA (Canadian Dental Association) recognize amalgam fillings release minute amount of mercury vapors, has not banned its use, it does not restric its use either. Patients are encouraged to discuss with their dentist an appropriate choise of material as composite resin, porcelain onlay/inlays used to restore your teeth. We do not place any dental amalgam (silver) fillings in our office. Dental veneers are wafer-thin, semi-translucent facings that are securely bonded to the fronts of your teeth. Dental Veneers will be custom designed for your teeth by Dr. Diaz and are usually made of durable, stain-resistant porcelain to ensure a more natural look. Natural porcelain veneers, also known as natural veneers, help patients who are embarrassed to smile because of the appearance of their teeth. Experienced North York Cosmetic Dentist Dr. Nubia Diaz can provide you with natural veneers for an improved, confident smile by modifying the colour, shape, angle and spacing between your teeth. Dental veneers are used by many celebrities and high profile public figures thanks to its ability to dramatically improve the appearance of their teeth overnight. Whether you’re a television personality, news anchor, speaker, sales person, aspiring movie star, or a person who just wants to be able to smile with confidence, Cosmetic Dentist Dr. Diaz in North York Toronto is here to help. Recapture the beauty of your smile with porcelain dental veneers when you visit Cosmetic Dentist Dr. Diaz at Stonebrook Dental today! Contact us at 416-636-4227 or send us an email at stonebrookdental@rogers.com. During a dental examination North York family dentist Dr.Nubia Diaz may determine that you need a tooth extraction for any number of reasons. Some teeth are extracted because they are severely decayed; others may have advanced periodontal disease, or have broken in a way that cannot be repaired. Other teeth may need removal because they are poorly positioned in the mouth (such as impacted teeth), or in preparation for orthodontic treatment. The removal of a single tooth can lead to problems related to your chewing ability, problems with your jaw joint, and shifting teeth, which can have a major impact on your dental health/appearance of your face. To avoid these complications, in most cases, Dr.Nubia Diaz will discuss alternatives to extractions as well replacement of the extracted tooth/teeth. At the time of extraction Dr. Diaz will numb your tooth, jawbone and gums that surround the area with a local anesthetic. After a tooth is extracted, Dr. Diaz may insert a powdered bone graft into the site where the extracted tooth was (this will be discussed with you prior to extraction). Dr. Diaz uses Mineross by Biohorizons in dental extraction sites to encourage bone regrowth. If you choose to not use a bone graft material in the empty socket after extraction, Dr.Nubia Diaz will suture/stitch the extraction site if needed and review home care instructions with you. This is an important part of the healing process and you must be careful not to dislodge the clot. Avoid rinsing or spitting for 24 hours after the extraction. Avoid use of a straw, smoking or hot liquids. For most extractions make sure you do your chewing away from the extraction site. Stay away from hot liquids and alcoholic beverages for 24 hours. A liquid diet may be recommended for 24 hours. After the extraction avoid brushing the teeth near the extraction site for three days. After that you can resume gentle cleaning. Avoid commercial mouth rinses, as they tend to irritate the site. Beginning 24 hours after the extraction you can rinse with salt water (1/2 teaspoon in a cup of water) after meals and before bed. 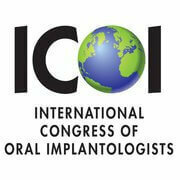 As a member of the International Congress of Oral Implantologists (ICOI) and a graduate of the MISCH International Implant Institute Canada, Dr. Nubia Diaz is fully certified and highly experienced in the areas of dental implant placement and restoration — both of which she is able to treat for in her North York Toronto dental office. 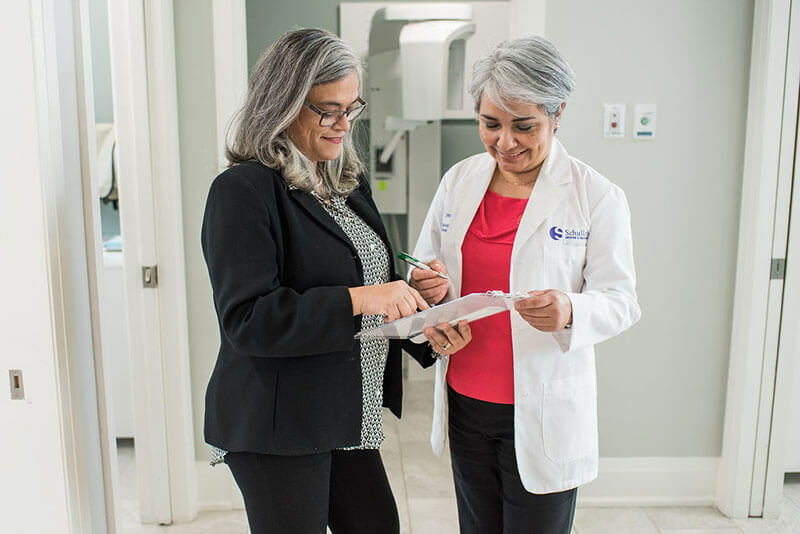 Make an appointment for a free dental consultation with Dental Implant Dentist Dr. Nubia Diaz and her experienced team in Toronto and North York by calling (416)636-4227 today! 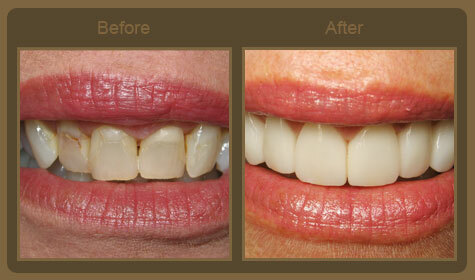 Dental implants are an effective solution for those who have missing teeth. Although you have a number of available restorative options for the treatment of missing teeth, none have proven to be as functionally effective and durable as implants. Today’s dental implants are virtually indistinguishable from other teeth thanks to the structural and functional connection between the dental implant and the living bone in your jaw. Implants are typically placed in a single sitting but require a period of osseointegration. Osseointegration is the process by which bone cells attach themselves directly to the titanium surface of the tooth implant, essentially locking the implant into the jaw bone. Tooth implants take anywhere from three to six months to anchor and heal, at which point your dentist can complete the procedure with the placement of a crown. The temporary crown serves as a template around which the gum grows, thereby naturally reshaping itself. The process is completed when the temporary crown is replaced with a permanent crown. Dental implants are stronger and more durable than their restorative counterparts like bridges and dentures. Implants offer a permanent solution to tooth loss and may be used in conjunction with other restorative procedures for maximum effectiveness. Implants can also be used to support a dental bridge for the replacement of multiple missing teeth, and can be used with dentures to increase stability and reduce gum tissue irritation. 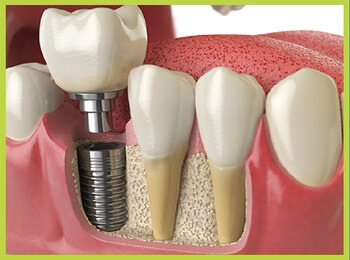 Dentists often recommend implants over bridges and crowns because implants are anchored into your jaw and these implanted teeth are completely secure and stable. Unlike bridges, they are not anchored to adjacent teeth and, therefore, do not carry a risk of affecting the structure of your existing teeth. Implants also require no special maintenance apart from your usual dental routine of brushing, flossing and regular dental hygiene cleaning appointments. Implants are suitable for most adults, regardless of how the teeth have been lost. Visit Dental Implant Dentist Dr. Diaz to determine whether implants are right for you. Call 416-636-4227 for an appointment today! Taking care of dental implants is crucial, just like taking care of natural teeth. Care regiments for dental implants are also similar to that of natural teeth - brush and floss twice per day, and see your dentist for cleaning and check-up every three to six months. Preventive dentistry is the branch of dentistry that deals and focuses on those procedures and practices that help people to prevent the beginning or progression of oral disease. Its main purpose is to preserve healthy teeth, gums and the prevention of dental caries and oral disease. And if disease has already settled, it will help to catch it in its early, more treatable stages. Conditions that may be affected by poor oral health include but not limited to: diabetes, respiratory and cardiovascular. For all of these reasons, it is important that Canadian citizens Canadian public, private and professional policy makers become informed as to the extent and severity of oral health conditions in Canada. Regular dental checkups can reduce the risk of permanent tooth and gum damage, and expensive treatment in the future. Preventive dental care should begin in infancy, within the first year of life before teeth first appear, and continue throughout life. Even before teeth erupt, parents can clean infants’ gums after feeding. Preventive care in adolescence includes preventive composite fillings, regular dental brushing and flossing, as well as wearing custom made sport guards to protect the teeth during contact sports. The results of good preventive dental care are healthy teeth and gums throughout one’s life and the early detection of oral disease. Preventive procedures, such as fluoride applications, preventive composite resin and sealants, can prevent tooth decay. Restorative dentistry, including the placement of fillings, crowns, and dental work, addresses tooth decay and tooth loss that can result from periodontal disease and tooth decay. Read in this section (see submenu) about: Dental Sealants, Dentistry for Kids, Early Caries Detection, Grinding & Clenching (night guards), and Sport Guards. Source used: American Dental Association. 211 E. Chicago Ave., Chicago, IL 60611. (312) 440-2806. Tooth grinding causes many dental problems if you’re part of the 25 percent of the population that experiences it. Most people with bruxism (grinding and clenching) don’t exhibit any immediate symptoms but show wear on their teeth and gum line that indicates the problem. Only 5 percent display painful symptoms, which vary from extreme headaches to ear, tooth or jaw pain. 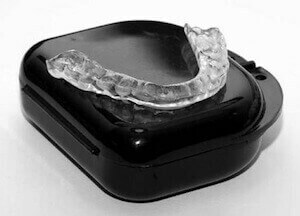 North York family dentist Dr.Nubia Diaz recommends wearing a nightguard to prevent further deterioration of teeth, gums and the jawbones if grindning or clenching is occuring. If you grind your teeth in the night, you may wake up with painful teeth or jaws. If there is no pain to alert you, your spouse may tell you that you grind because the noise keeps her awake or your dentist may notice signs during a dental exam. Dentists don’t agree on the origination of bruxism. Various theories link it to emotional stress, misalignment of the jaw, genetics, allergies or intake of caffeine, tobacco or amphetamines. Night guards prevent much of the pressure on the teeth. Watch out for further damage. Tooth grinding often occurs in children. Sometimes bruxism goes away by the time children reach the age of 10, other times it becomes worse. The alignment of the permanent teeth dictates the difference. Those with serious malocclusion seem to be candidates for the problem. This occurs most of the time at night because it’s a subconscious neuromuscular disorder. Braces often prevent tooth grinding later in life. Dr.Nubia Diaz can provide relief for patients who grind or clench their teeth through fabrication of a nightguard. These guards are usually worn at night while sleeping, but some patients may need to wear them during the day. They are made of either a hard or soft material. Toronto dentist Dr. Nubia Diaz will determine the type of guard needed by the wear on the teeth and by the health of the TMJ. Call for an appointment (416)636-4227. A dental sealant is a protective plastic coating applied to the chewing surface of the teeth. It is placed into the tiny pits and fissures where cavity-causing bacteria, foods, and acids live. Toothbrush bristles are too large to reach into the grooves, making sealant application one of the most important preventative treatments available. The sealant acts as a barrier, protecting the enamel from bacterial plaque in cavity prone areas. Children as well as adults can benefit from this easy and painless procedure. Sealants are placed on permanent molars as soon as they erupt to prevent decay. 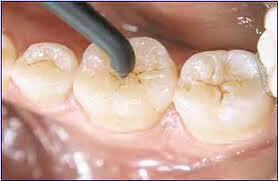 Sealants can last several to many years. During regular cleaning appointments, we will check the condition of the sealants and reapply them if necessary. Dental inlays are used to treat teeth that have decay or damage lying within their indented top surfaces and in the grooves between the cusps of the teeth. They can also be used to replace old or damaged metal fillings. Since dental inlays and onlays are made from tooth-coloured porcelain or resin, they provide patients with more durable and natural-looking results than metal fillings. In addition, family dentist Dr. Diaz can influence the shape of the inlays and onlays to ensure a secure bond to the tooth surface thereby adding structural integrity. You and your family deserve only the best dental treatments. Achieve optimal oral health with every visit to North York Family Dentist Dr. Nubia Diaz. Make an appointment by calling 416-636-4227 today! Whereas dental inlays are designed to treat decay within the cusps and top projections of a tooth, onlays are used to treat decay that extends to one or more of the cusps. Like dental inlays, onlays are created from tooth-coloured material, which makes them virtually undetectable to the naked eye. Onlays also help to conserve more tooth structure because their use requires minimal removal a tooth’s surface. Perhaps their most important benefit is that, in saving damaged teeth, onlays help patients avoid the eventual need for more extensive treatment with dental crowns,dental bridges, or dental implants. Since they can be made from tooth-colored material, including porcelain and composite resin, inlays and onlays are virtually invisible. Unlike metal fillings, inlays and onlays will not expand or contract in response to temperature changes caused by hot or cold foods, thus reducing the risk of fractures within the tooth. The use of inlays and onlays require less tooth reduction than metal fillings. This allows dentists to conserve more of a patient’s natural tooth structure in the treatment process. Dental inlays and onlays can help strengthen teeth by up to 75%. By saving decayed teeth, inlays and onlays prevent the need for more extensive treatment later on in life. 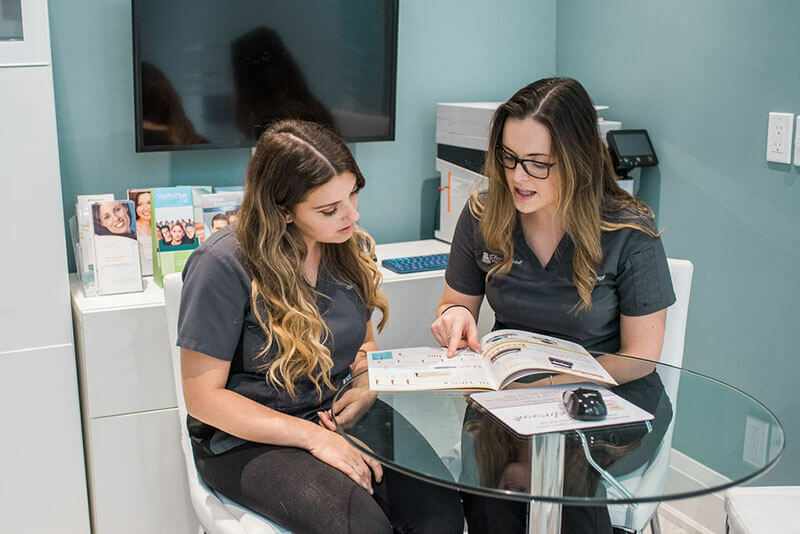 North York and Toronto laser dentist Dr. Nubia Diaz at Stonebrook Dental uses the Odyssey Navigator Diode Laser to safely and comfortably treat a variety of soft tissue oral ailments that affect patients both young and old. “Dr. Diaz is sensitive and intelligent, and I notice that she insists on a high level of professionalism from her staff. She is also a highly ethical dentist who is 100% honest with her patients. She will work with you to come up with a solution to help you achieve your goals. She is a very special individual, committed to her calling, and her patients.” – A.B. 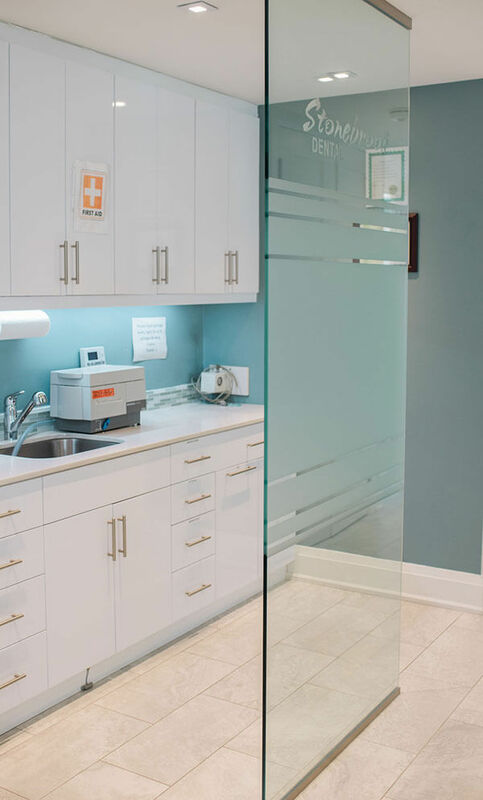 This state-of-the-art laser allows us to treat destructive oral diseases like gingivitis and periodontitis as well as cold sores (Herpes Simplex), canker sores, and denture sores so that you can leave our office pain free and ready to take on your day. Studies have shown that cold sores which are treated two to three times with a laser will not recur at the same site again. Thus, potentially eliminating the need for anti-viral medications, topical drugs, and any complications associated with them. Contact North York Family Dentist Dr. Nubia Diaz today at 416-636-4227 and learn how laser dentistry can help you and your family achieve optimal oral health safely and effectively. You may wish to whiten your teeth gradually in the comfort of your own home with your own custom fit trays that we will make for you at our dental spa. Tooth Whitening gel is placed inside the trays and worn for up to one hour each day. Your teeth will progressively whiten over 2 – 3 weeks, giving you a beautiful smile. The convenience of Opalescence makes the perfect choice for the busy individual. Take your first step to feeling good, looking great and making a memorable impression every time you smile. Combination of home whitening and Opalescence in-office whitening. Utilising the almost immediate results achieved with the Opalescence Chairside Whitening System plus the home Whitening system, the ultimate level of whiteness can be achieved. If your aim is to have a beautiful bright, white smile then this option is for you. Opalescence Whitening System is a scientifically advanced tooth whitening procedure. It’s safe, effective and very fast. In less than an hour your teeth will become dramatically whiter. Opalescence whitening is ideal for anyone looking for immediate results. To make an appointment for a Cosmetic Dental Consultation with North York Family Dentist Dr.Nubia Diaz and her experienced team please contact us at (416)636-4227. Invisalign® Dentist Dr. Nubia Diaz in Toronto provides you with a revolutionary way to straighten your teeth through a series of aligners that are custom made just for you. Using advanced, 3D computer imaging technology, Dr. Diaz will provide you with a number of smooth, comfortable and almost invisible plastic aligner trays that you wear over your teeth all day, every day. The only time you will remove them is when you are eating, drinking, brushing and flossing. Each pair of aligners is worn for two weeks — as your teeth gradually and gently shift into the prescribed position, a new pair of aligners will be given to you to repeat the process until you achieve optimal alignment. Unlike traditional braces, there are no painful metal brackets to attach and no wires to tighten. You simply slip in a new set of aligners approximately every two weeks, until your full treatment is complete. The best part of the entire Invisalign® process? You get little to no interference in your daily life and most people won’t even notice you’re wearing your aligners! You and your family deserve the best dental treatments possible. Call experienced Invisalign® Toronto Dentist Dr. Diaz today at 416-636-4227 or send us an email at stonebrookdental@rogers.com. 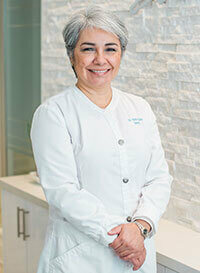 Dr. Nubia Díaz at Stonebrook Dental is a certified Invisalign® provider. During your first appointment for Invisalign® Toronto, she will perform a comprehensive oral exam as well as take photos and impressions to determine whether Invisalign® is suitable for you. 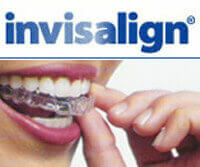 You can get more information from the Invisalign Website. Root canal is the process by which infected, injured or dead pulp (nerve) is removed. It involves cleaning and shaping the root canals by small files and irrigating solutions which decontaminate the canals. Then the hollow canal is filled with an inert material called gutta percha. Root canal treatment may be done in 1 or 2 appointments. After root canal treatment, your tooth may be tender for the first week or two. Bad pain or swelling is NOT common. If this happens, call your dentist immediately. A thorough medical and dental screening will be done. It is important to disclose any medical condition, allergies, pills (medications) or over the counter remedies you are taking. A series of x-rays will be taken at the beginning, during and after the treatment. After an assessment a diagnosis will be disclosed and possible treatment choices will be provided and explained to you. You will then be given the choice to decide what treatment you think is best to proceed with. Potentially it could include, but not restricted to, cementing a post into the canal to help support the build up core and the crown. You will receive topical anesthetic (gel) followed by local anesthetic (freezing). To prevent your tooth gets more contamination from bacteria in your saliva during the treatment, a rubber dam (latex free) around the tooth is placed. Then an opening in the tooth is done to reach the root canal system and the damaged pulp. Using very fine files, the damaged pulp is removed by cleaning and shaping the root canal system. After the canal has been cleaned and dried a filling (gutta percha) material is placed in to seal the canal. 4 to 5 weeks after a root canal treatment, your tooth may receive a crown. Teeth that had received root canal treatment will become brittle very prone to fracture and will likely need a crown to protect the tooth against strong chewing force. Will a root canal prevent further decay? Root canal treatment does not protect your tooth from other types of damage as gingivitis or caries (decay). 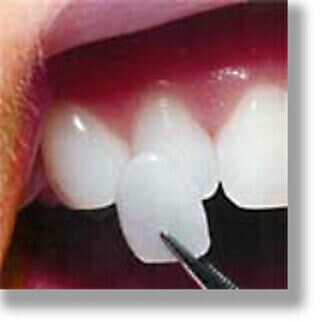 Unfortunately, if a crown is not placed the tooth is in high risk for fracture. With proper care and regular dental visits, the tooth could last as long as possible. Most of the time, a tooth can be saved. However, there are cases where everything possible has been done to save a tooth and still the tooth must be extracted (pulled). When a vertical fracture has been found along the crown into the roots of your tooth or when tooth decay is too extensive and your tooth is deemed not restorable then an extraction may be the only treatment. If extraction is done, a dental implant or a bridge could restore the missing tooth. Most root canal treatments are successful. But in some rare cases, when symptoms return or a shadow on the x-ray is seeing after some years, a second root canal treatment is needed. This is called re-treatment. When re-treating a tooth, the root canal filling material is taken out, and the canal is again cleaned, reshaped and refilled. If this occurs your dentist will refer you to a specialist. 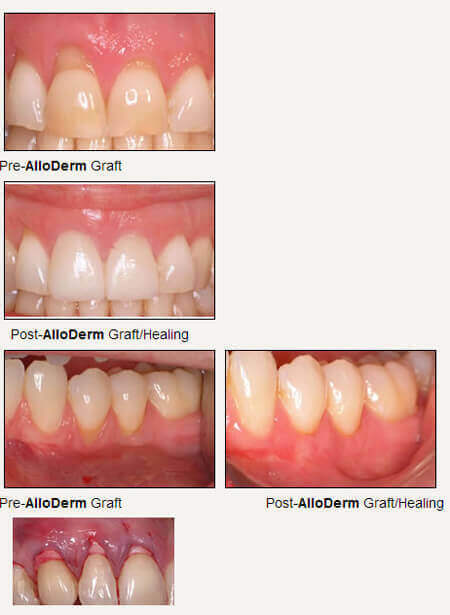 Gum grafting with AlloDerm® is a modern, non-invasive treatment option for receding gums. AlloDerm® is a patented collagen material that is applied over the recessed areas of the receding gum line and has been specifically designed to restore tooth coverage and to protect the roots of your teeth. AlloDerm® is a versatile medical product used in medicine and dentistry for both plastic and reconstructive surgery. What do clients love about gum grafting with AlloDerm®? It eliminates the need to take tissue from other parts of your mouth to remedy any gum line recession or tooth exposure. Dr. Nubia Diaz is an experienced North York Dentist and has had excellent results using AlloDerm® to help people with receding gum lines. Dr. Diaz was trained by Dr. Edward P. Allen, a renowned American Periodontist who teaches advanced clinical techniques in oral plastic surgery and soft tissue grafting with AlloDerm®. When the border of gum tissue that surrounds your teeth wears away, the root of your teeth may become exposed. 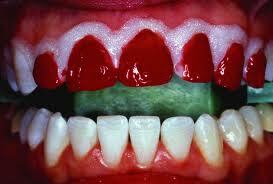 The first sign of gingivitis or periodontitis (periodontal disease) is often receding gums. Treating gum recession is important not only for your comfort, but to also preserve the health of your teeth. If left untreated, it can lead to tooth decay and other oral conditions such as a poor bite, sore jaw, periodontal disease and tooth loss. Periodontal disease can progress and destroy gum tissue very rapidly, thus producing a receding gum line. When a large amount of gum tissue is lost in a short span of time, gum grafting with AlloDerm® can help halt tissue and bone loss. Thus, preventing further problems and protecting exposed roots from further decay. If you are experiencing a painful, receding gum line, schedule an appointment with North York Family Dentist Dr. Diaz by calling 416-636-4227 today. Body piercing of the lip or tongue. Call Dr. Diaz at Stonebrook Dental today to schedule an AlloDerm® gum grafting consultation 416-636-4227. How Does AlloDerm® For Gum Grafting Work? 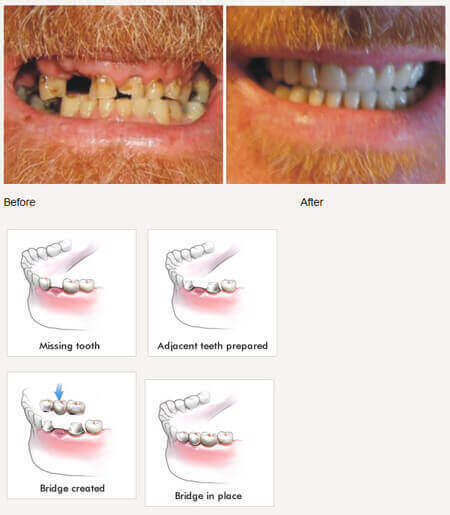 These photos are an example of how AlloDerm® is applied underneath the gums. The gum tissue will be pulled down to cover the AlloDerm® and stitches will be used to keep everything in place during the healing process. Note that no incisions or cuts on the gum tissue were made. On the day before an AlloDerm® gum grafting procedure, a patient will start both a prescription antibiotic and anti-inflammatory to help ensure a smooth recovery. Both of these prescription medications will be taken until finished and will assist in preventing infection in the newly inserted gum graft and reduce swelling in the surrounding tissue. We also recommend that ice is consistently applied to the area to avoid further swelling. The gum grafting procedure has been described by our patients as one that causes minimal discomfort for the first few days — but not pain. For the first 24 hours, it is imperative for the patient to minimize activity. We recommend relaxing at home, watching television, or reading a book. After 24 hours, you may resume your regular activities. Heavy exercise should not be attempted for at least 1 week post surgery. This allows the blood pressure to remain within a normal range and will help prevent any extra blood pooling at the site of the gum grafting procedure. It is imperative to avoid chewing, brushing or flossing near the area of gum grafting. We will provide you with a prescription anti-bacterial rinse, which can be used 4-6 times a day to keep the grafted area clean. This will be used for 2-3 weeks. After 6-8 weeks, sutures around the grafted area will be removed. Learn more about gum grafting with AlloDerm® today – make an appointment with North York Dentist Dr. Diaz by calling 416-636-4227! Are you unhappy with the appearance of your teeth or smile? Toronto cosmetic dentist Dr. Nubia Diaz can assist you in achieving your ultimate smile through a smile assessment and smile enhancement. Once these factors are assessed, Dr. Diaz can make recommendations that are personalized for you to achieve the smile you desire. In some cases it may take only minimal changes to achieve your ultimate smile. If you would like to make an appointment with Dr.Nubia Diaz and her experienced team for a Cosmetic Dental Consultation, please contact us at (416) 636-4227. We gently DO or demonstrate the equipment or procedure. We often involve the parents in assisting us throughout the show-tell-do process to ease children into this brand new environment — thus turning the dental appointment into a positive experience. When Should Your Child Have His or Her First Dental Exam? Children’s Dentist Dr. Nubia Diaz and the Ontario Dental Association recommend that all children have their first dental exam by the time they are a year old. This first check-up includes not only an examination of the teeth but also the growth of the jawbones, condition of the tongue, palate, tonsils, throat, floor of the mouth, TMJ (temporomandibular joint), and the lymph nodes of the head and neck. Our free Toddler Day at the Dentist Program is open to all Toronto residents and runs on Saturdays every one to two months. We promote positive, fun, and educational first experiences at the dentist for all young children and toddlers. And, we would be more than happy to have your child attend our program! 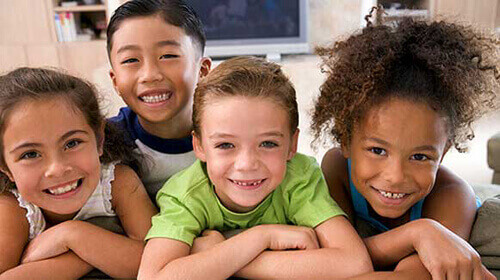 Call Stonebrook Dental today at 416-636-4227 to schedule an appointment for your child and your whole family. Some of our patients ask what a ‘family dentist’ is.? A family dentist is a dental care professional that provides dental services for all family members from toddlers, children of all ages, parents and seniors. 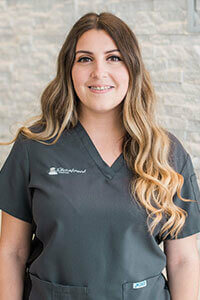 Dr. Nubia Diaz is the family dentist at Stonebrook Dental and she takes seriously her responsibility to provide dental services and education to help reduce and prevent oral health issues, the most common being plaque build-up or cavities. With the first signs of tooth decay, Dr. Diaz will recommend appropriate treatment to restore and improve oral health for you and your family. Are you looking for a family dentist in Toronto or North York for all of your family members? 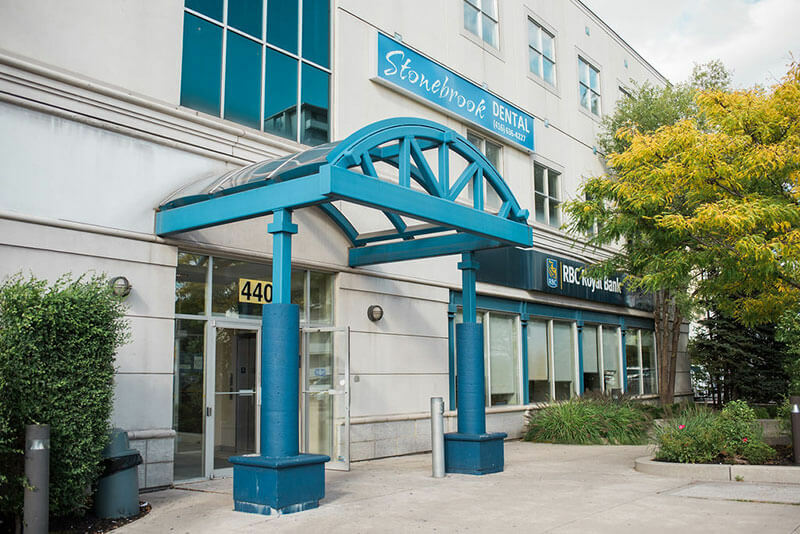 Stonebrook Dental is a family dental centre located in the heart of the Greater Toronto Area. 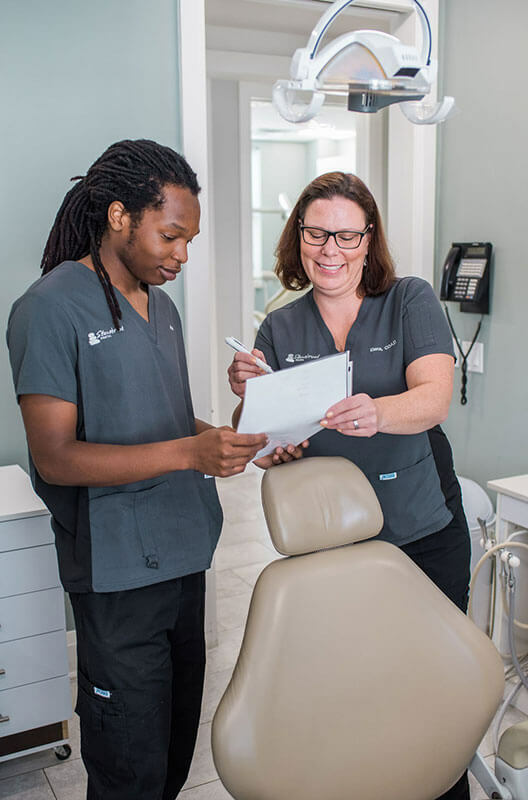 Our centre provides a comprehensive set of dental services, whether your family members need dental cleaning, oral check-up or even a smile enhancement. Our kid-friendly environment has an activity area that is perfect for families with small children and our patient waiting area also has a complimentary beverage station for everyone. Furthermore, we understand that families are busier than ever, that’s why our family dental centre has appointments available for early morning and evenings. For time slots, or to make an appointment send us an email or call us today. We believe that every child deserves a fantastic start to proper dental care. That is why we have created the Toddler and Children’s Day at the Dentist program at our North York family dental centre. In this free program offered every other month, we provide individual care for each child, especially those who are fearful at first. We use simple games, activities and visual aids as part of the fun learning experience. By the end of session, children leave with a smile on their face and looking forward to their next visit to the Stonebrook family dentist! Contact Stonebrook Dental today at (416) 636-4227 to book an appointment with our family dentist for you and your family. Dr. Díaz is a very special individual. I get very attached to my health care professionals, especially if I think they are conscientious, so when Dr. Diaz purchased her practice, and I was inherited by her, I was somewhat apprehensive about losing the dentist who left. As with so many of things that I am not enthusiastic about, I got it wrong. In fact, it turned out to be fortuitous. Dr. Diaz is sensitive and intelligent, and I notice that she insists on a high level of professionalism from her staff. Also, she is an ethical individual, who knew I would be unhappy with information she needed to tell me. Yet she did it anyways. I appreciate honesty and courage,and I appreciate that she came up with a solution that really satisfied me. This is a very special individual, committed to her calling, and her patients. You have my heart and dental health in your hands. My experience with Stonebrook Dental started with a critical emergency root canal treatment, less than 48 hours before a flight to a sunny holiday location. I hadn’t slept all night and counted every hour before 7 am came around, until I could call an emergency dental clinic that would take me right away. Dr Diaz answered her cell phone before 7 am and instructed me to call her receptionist at the office right away to book me in, as soon as I could get there. I did as instructed and was all taken care of, and on my way home before 9:30 am. Dr Diaz, Nadira and her fantastic team of skilled professionals took me in their arms, soothed my pain and enabled my vacation to go “tooth-ache” free, I have since visited Stonebrook Dental and each visit was as pleasant as the first one. I had never hugged so dearly, a dentist in my life, as I did Dr. Diaz. Thank you Stonebrook Dental... you have my heart and dental health in your hands. I have just had my teeth cleaned by Crystal Cooke. She did an amazing job. She has a gentle touch and did an absolutely thorough job. I meant to write this comment before. The dentist is my least favorite type of doctor (and I am sure that I am not a favorite type of patient for dentists), but that does not mean that I cannot appreciate when one is very good at their job. My husband and I appreciate Dr. Diaz skills and patience. When I went to the specialist, referred by Dr. Diaz, he mentioned that not many dentists would have picked up on the problems I had with my teeth (I think especially the lower one). We are two York University professionals with a young kid and have been patients at Stonebrook Dental for several years. With a change in the doctor’s team in 2010 we were first slightly concerned, as it had taken us so long to find a dentist in whom to trust for excellence and patience especially in regards to children dentistry. We must say that our concerns were completely unfounded. Not only does the Stonebrook staff continue to excel in friendliness, support and flexibility in arranging for appointments and guaranteeing on-time treatment, Dr. Diaz and her assistants are great professionals and all of us were very happy with the quality of dental care. In fact, Dr. Diaz is going out of the way to accommodate short term needs and responds to emergencies promptly. 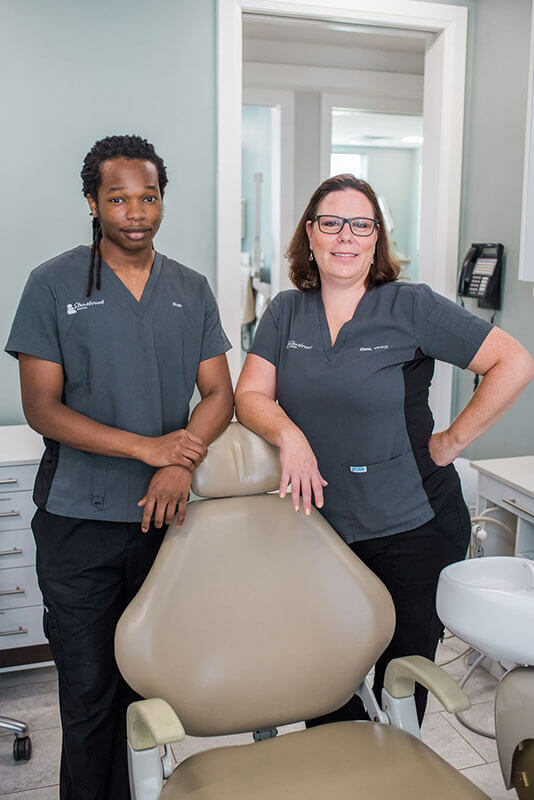 They all work patiently with children and make the dentist chair a pain-free and positive experience, not just for our son but for us as well. We have had an amazing experience so far. The quality of the dentistry is exceptional. Continue the good work! Your work is of the highest nature. You spend time with your patients; you explain in detail about the procedures. I appreciate your honesty in that you only do what is absolutely necessary for your patient. I trust you wholeheartedly and recommend you without hesitation. I would like to give special mention to Pilar the hygienist who cleaned Sophie’s teeth – she is fabulous! Right away Sophie was put at ease and she was so calm! Great first experience! Each time I visit, from the moment I walk through the doors, I am welcomed with a friendly smile and courteous service. 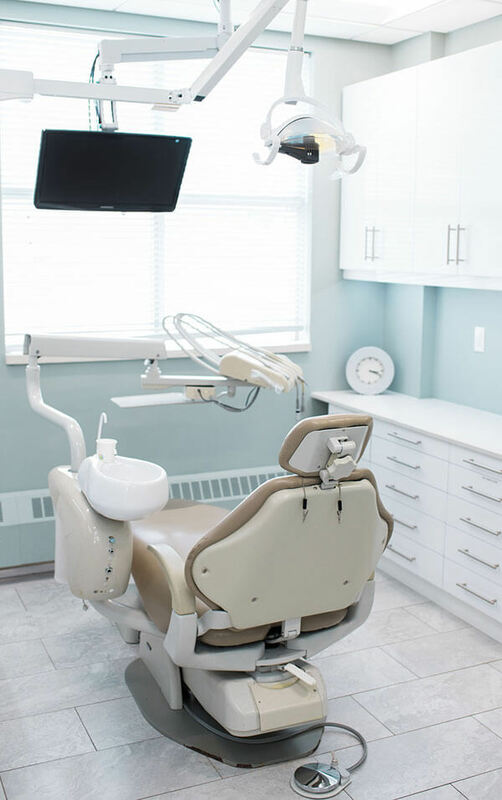 In addition to their state of the art equipment and knowledgeable staff, Stonebrook Dental has always provided every comfort to make visiting the dentist a much more enjoyable and pleasurable experience. Their attention to detail and satisfying a client’s needs goes above and beyond all expectations. I would recommend this family oriented practice to anyone looking for a quality place to help protect and enhance one of life’s most valuable assets. What is Toddler and Children’s Day at the Dentist? It is the best way to introduce your child to a great first experience at the dentist. Toddlers are welcome to the practice by the hygienist, then introduced to the dentist to have their first dental exam. Healthy snacks and refreshments are available. Parents’ participation is important. 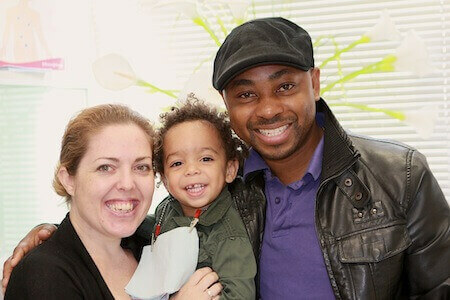 They help during dental visit and receive advice on how provide the best dental care to their toddler(s). Our Toddler Day at the Dentist is open to any toddler in the GTA. Parents’ participation is important to provide their toddler more comfort and confidence. Our Toddler Day at the Dentists are free. It is our way to contribute to our community. When is the next Toddler Day at the Dentist? Toddler Days at the Dentist are schedule every two months on Saturdays. Our free appointments run from 9:00 AM to 2:00 PM. 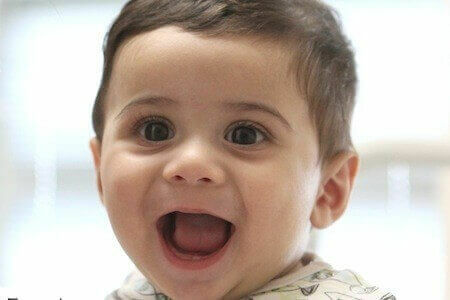 Our next Toddler Day at the Dentists is advertise in our website in the News & Events section. Do not wait to make an appointment for your child. To make an appointment for your toddler call us at (416)636-4227, and mention you would like to schedule an appointment for our toddler day program. As well, you can email us at stonebrookdental@rogers.com. This is a very successful activity and we have full agenda every time, spaces are limited. Make an appointment as soon as possible.